Manchester United managerial candidate Zinedine Zidane is reportedly in talks to sign Monaco striker Radamel Falcao for his next club. The French tactician is also being linked with the Juventus job by Don Balon, in the event that current boss Massimiliano Allegri fails to deliver the Champions League title this season. However, Zidane is also a top priority target to be next Man Utd manager, and it seems he’s a big fan of what Falcao could offer his next side. Don Balon claim the former Real Madrid manager has approached Falcao over a link up, with the Colombia international supposedly unhappy with his current club. Although Falcao flopped badly in his single season at Old Trafford, the 32-year-old joined on the back of a serious injury, and at a time when the team were a bit of a mess under Louis van Gaal. He has otherwise always been one of the most clinical forwards in the world for much of his career, and he’s shone at Monaco despite their struggles this season. 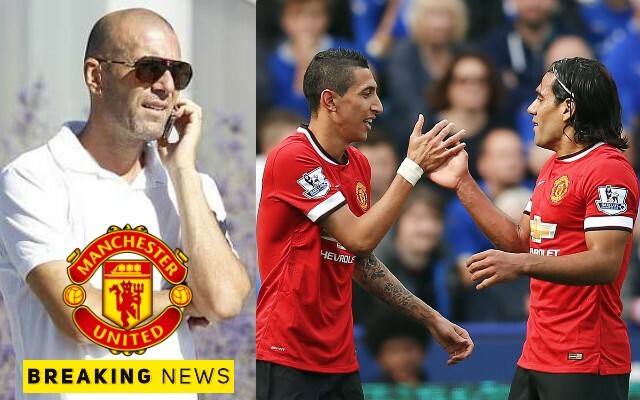 If Zidane can get Falcao back to his best this could be a fine surprise signing for MUFC in the near future.